The following is an excerpt from the lecture of author Jorge García-Robles, delivered today at The Burroughs Century in Bloomington, Indiana. 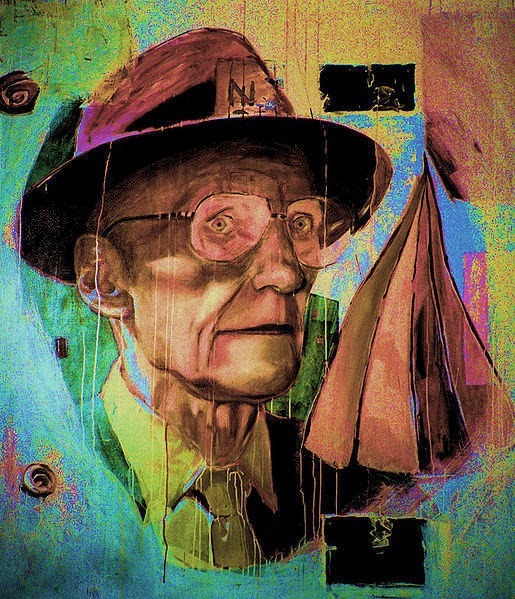 Burroughs became a writer, as he himself tells it in the preface to Queer, on the afternoon of September 5th, 1951, in Apartment 10 of 122 Calle Monterrey, in the Roma neighborhood of Mexico City. No other writer I know of so precisely pinpointed the birth of his vocation. What we have here is a sui generis possession, in which a malignant spirit takes hold of a vulnerable subject without offering him anything in return, as opposed to the literary/mystical tradition of Faust, for example, where the devil grants the possessed some measure of wealth and happiness in exchange for his soul. Burroughs’s ugly spirit takes hold of him without warning, without asking permission, without negotiating. It is a violent and authoritarian possession, in which the victim is simply invaded and the only way to resist, as Burroughs tells it, is to write. The possession never fades away, nor is there any way to exorcise it effectively; there is only a kind of antidote—writing—but no way to dislodge or uproot the foreign intruder. Still, the motives for this possession remain unclear. As the malignant spirit asked for nothing in return, we might suppose that its intentions were basically benign. It seems that what it actually wanted was to spawn a body of literature via its chosen subject rather than to destroy him or use him for its own ends. If so, this demon would have been the real creator of Burroughs’s work, the true author of the whole Burroughsian oeuvre, so maybe it wasn’t all that bad. However, I believe this explanation to be a weak one and a false one. It seems clear to me that Burroughs already was a writer before the appearance of the so-called ugly spirit and Joan Vollmer’s death. After all, he’d already written Junky. I have to wonder if Burroughs really believed this rather Christian interpretation for the origin of his vocation. On one occasion, at his home in Lawrence, Kansas, I asked him personally if he believed it, and he said of course he did. I also wonder if Burroughs’ motive in revealing this explanation to the public 25 years after the fact wasn’t to dodge any responsibility in the matter. My opinion, as a skeptic who doesn’t believe in spirits or in God or in anything supernatural, is that Burroughs did not truly believe this explanation, or maybe he believed it half-heartedly. For one, he rarely referred to it when discussing his work, his life or his views; deep down, he probably found it inconsistent even if he never said so. Still, Mexico was certainly significant to Burroughs. It was in Mexico City that—without the intrusion of any demon whatsoever—he wrote Junky and later Queer. He surely experienced the harshest episode in his life there: the death of Joan. So it was on Mexican turf that the course of his life and subsequent work were definitively set: to become a writer and to accept his homosexuality and disinterest in forming a conventional family, which at least to some degree he had with Joan. Lastly, I find it interesting that Burroughs didn’t like to talk about Mexico. He avoided the topic, chiefly when it came to discussing what he went through personally in the country. Neither when he was in Mexico, nor toward the end of his life, did he seem to care about its history, literature or cultural life (except for Maya culture, though he didn’t know it well), which strikes me as understandable and in no way blameworthy. Toward the end of his life, which is when I met him, Mexico was but a shadow from his past, a shadow that was at times brighter, at times blacker, that he never quite managed to remove from his personal firmament. Jorge García-Robles is a Mexican novelist, critic, and translator; he is considered the leading authority on the Beats in Mexico. 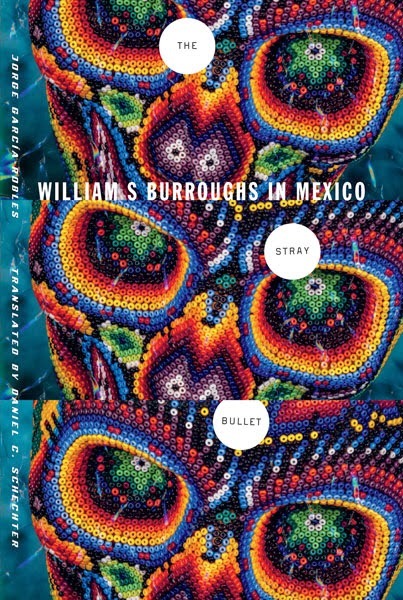 He is author of The Stray Bullet: William S. Burroughs in Mexico. He translated Jack Kerouac's Lonesome Traveler, Tristessa, Mexico City Blues and "Cerrada Medellín Blues" and William Burroughs's The Yage Letters into Spanish. "Burroughs’s relationship with Mexico was a complicated mesh of idyllic dreams and frustration with the country’s bureaucracy. García-Robles successfully shows how the writer’s life mirrors this relationship."